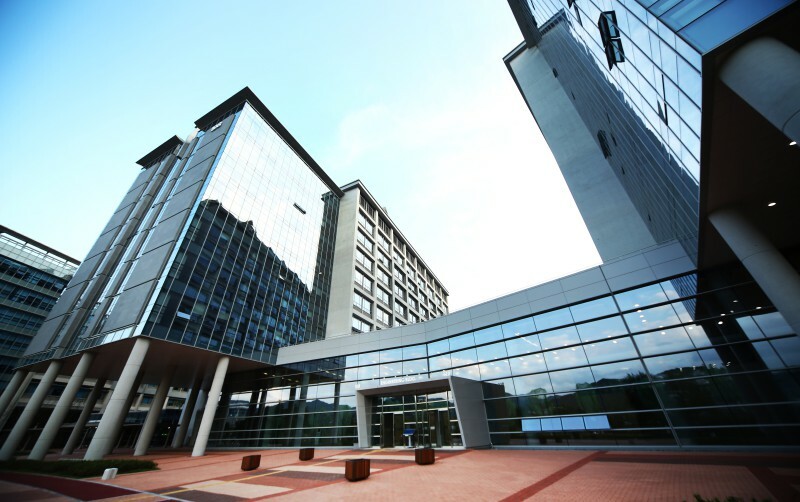 Exterior view of the new research complex, completed in August, 2016. The completion ceremony of the 2nd phase of construction takes place on October 18, 2016. UNIST today opened the doors of its new buildings to local government officials during a ceremony to celebrate completion of the second phase of construction. 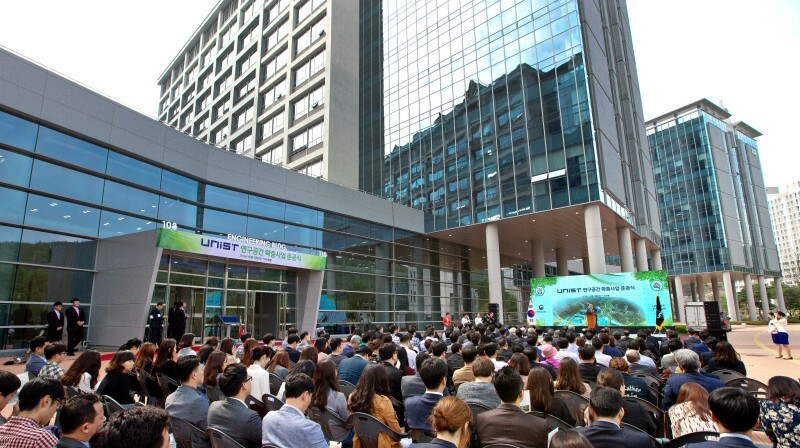 The event, which included a tour of the facility, recognized the $200 billion in support through the private investment as part of efforts to boost long-term research capacity to carry out high-quality educational research. The second phase in the construction of new buildings is a part of an expansion plan for solving research space deficiency. The part shown in dotted red lines are the exciting new additions to campus, completed in August, 2016. 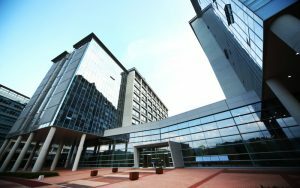 The newly available research space includes seven new research buildings and five other supplementary facilities with a gross floor area of approximately 108,988 square meters. With these new additions, UNIST now offers more classrooms, conference rooms, and administrative offices to its students and faculties. This also includes a new community center, daycare, as well as apartment buildings for faculty and staffs. The entrance to the new research space, completed in August, 2016. In addition to new housing and additional facilities, the new research space offers flipped classrooms, as well as student-centered learning spaces, called Learning Commons. In a student-centered learning space, students choose what they will learn, how they will learn, and how they will assess their own learning. Learning Commons uses cloud-based computing system, which allows 100 individual learner to use the system all at the same time. 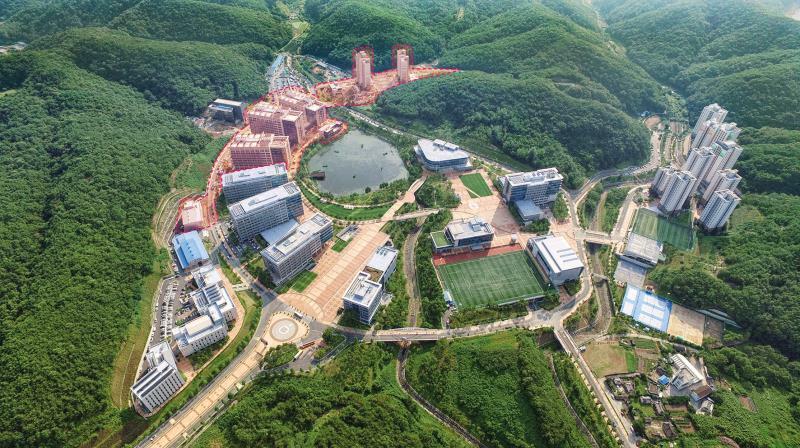 These exciting new additions, surrounded by beautiful natural scenery, will serve as the hub for multidisciplinary research and education at UNIST. UNIST President Mooyoung Jung, delivering congratulatory speech at the ceremony. 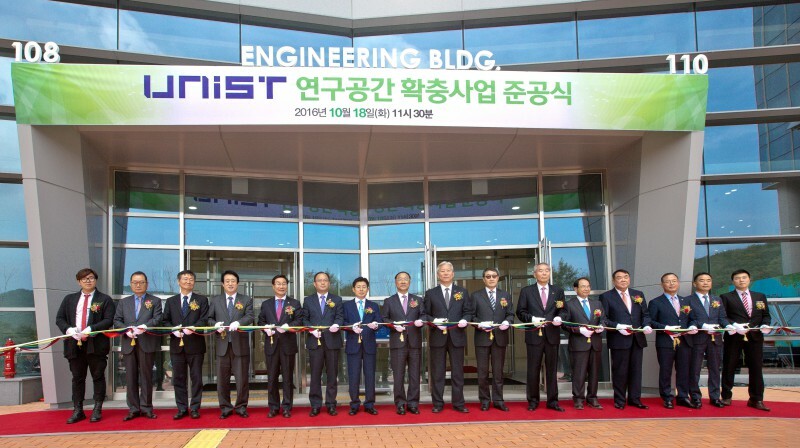 The ceremony was attended by several governmental officials, including Vice Minister Nam-Ki Hong of Ministry of Science, Ict, and Future Planning, Chairman Hyun-Soon Lee of the UNIST Board of Directors, Ghil-boo Kang of National Assembly, as well as students, faculty members, and distinguished guests of the university. 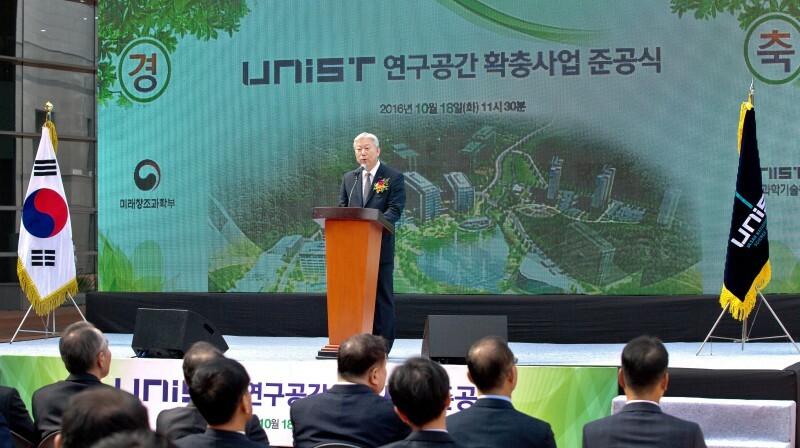 Vice Mayor of Ulsan City, Un-Wook Heo was also on-hand to speak about how the building will benefit Ulsan.